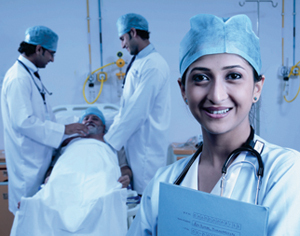 Telemedicine has revolutionized the present generation healthcare delivery system by exchanging medical information between two clinical locations for enhancing the medical expertise between the hospitals for better diagnosis, treatment and educational services so that we can reach to distant part of our country with better treatment approach. - is the use of information and communications technologies to enable the diagnosis of a patient between geographically separated individuals. A good example takes place between The Mission Hospital Super specialty clinics and The Mission Hospital, Durgapur - has better equipment and Super specialists to make diagnostic, management or treatment decisions for a patient who is located in the more remote area. The health personnel in the Mission Hospital Super specialty clinic can share everything from blood draws, to X-rays to other information about their patient. The doctor at the other end of the video or audio sharing can analyze the tests, talk to the patient or the doctor who is with the patient, and work together to make decisions. The Information Technology Department of The Mission Hospital has setup the Free Telemedicine Program to serve the patient of some part of India for the betterment of health services in India. The hospital has equipped with modern and advance technological support to reach the various needy patients across the India. 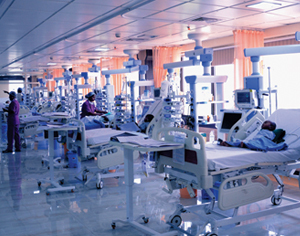 The hospital is providing to have all the facility like ECG, ECHO, X-Ray and other information about their patient. The doctor at the other end of the video or audio sharing can analyze the tests, talk to the patient or the doctor who is with the patient, and work together to make decisions.